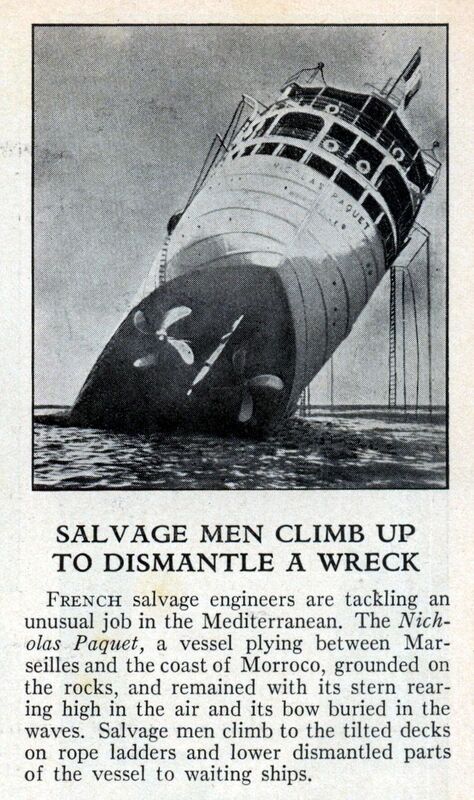 French salvage engineers are tackling an unusual job in the Mediterranean. The Nicholas Paquet, a vessel plying between Marseilles and the coast of Morroco, grounded on the rocks, and remained with its stern rearing high in the air and its bow buried in the waves. 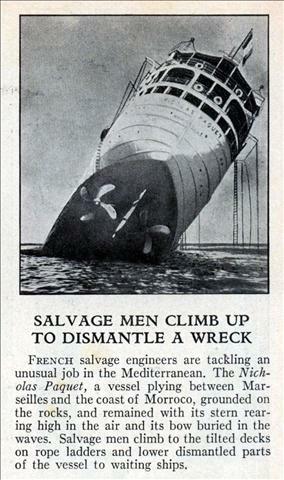 Salvage men climb to the tilted decks on rope ladders and lower dismantled parts of the vessel to waiting ships.